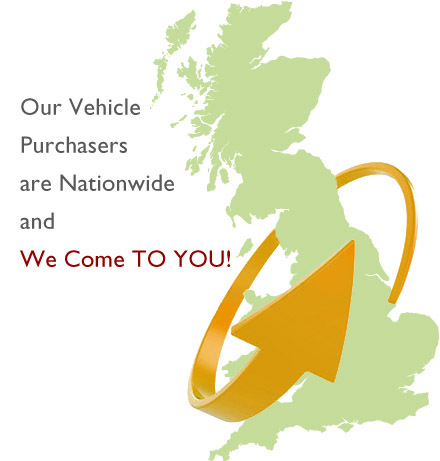 Our Nationwide Vehicle Purchasers will come to your home or workplace. Simply enter your car registration number in the box above you will receive an instant valuation. Our friendly, professional vehicle buyers will come to your home or workplace at a time to suit you. There is never any obligation to accept our valuation. To ensure your complete satisfaction, our Vehicle Purchaser will only leave once you have recieved your payment in full, Instant bank transfer is standard and there are no extra charges for this. 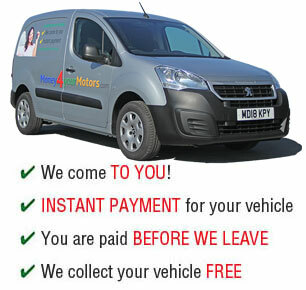 We will arrange for your vehicle to be collected, our collection service is free. Selling your car could not be simpler.